The Federal Reserve will keep raising interest rates until it thinks it has a reason to stop. The danger for investors is that they believe that the Fed will be stopped by rising trade tensions when its focus is elsewhere. 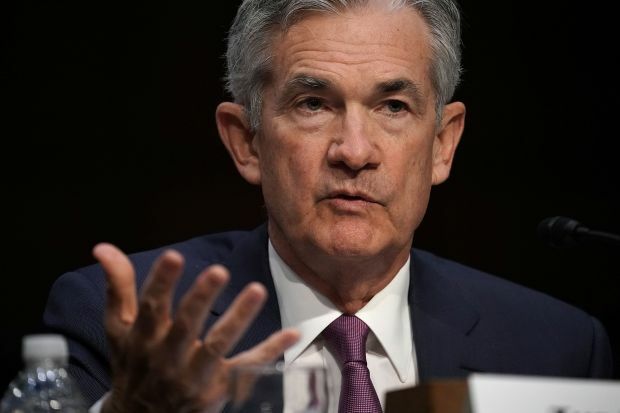 Fed Chairman Jerome Powell on Tuesday told Congress that with a strong economy, solid job growth and inflation warming up, the central bank believes that “the best way forward is to keep gradually raising” interest rates. That makes sense: With the unemployment rate at 4% and inflation lately reaching their 2% target, policy makers don’t want to run the risk of the economy running too hot. It is all in keeping with projections policy makers offered up last month, showing they expect to raise rates by a quarter point two more times this year, and to keep on raising them after that. One thing that might upend that plan is escalating trade tensions that threaten to damage business investment and confidence enough slow the economy. But the Fed may not react as quickly as investors might like to rising trade skirmishes. First, the impact of trade troubles will take time to show up in the economy. Not only do economic data come with a lag, but there is some evidence that companies are ramping up activity to avoid tariffs—something that could give the economy a short-term boost. Moreover, because the effects of tariffs and trade restrictions on the economy are so hard to model, the Fed might opt to take a wait-and-see approach before deciding to alter course on interest rates. Second, as Mr. Powell noted in an interview last week, while tariffs could slow the economy, they could push inflation higher. Ultimately, the Fed would probably be more worried about growth, especially since the tariff-induced increase in inflation would be temporary. But even a temporary pickup in inflation could complicate the Fed’s response. Politics also could come into play, since the Fed might not want to be viewed as monetizing a trade battle. Investors hoping for a Fed bailout could argue that if trade does become a real problem for the economy, the stock market would likely tumble and put a nervous Fed on hold. But with stock prices still looking richly valued, the drop would probably have to be fairly steep before the central bank changes its plans—a mere 10% wouldn’t cut it. By the time Fed gets worried about trade, investors could be downright alarmed.